One of the best ways to get top quality training for staff is to sign them up for a course at one of the leading hair academies. A wide variety of courses are available and many offer flexible learning, but this is not a cheap option as a complete barbering course for beginners can cost around £4,000. Course modules will be are taught by experienced men’s hairdressing educators and include hands-on workshops, demonstrations, theory work and special projects. Students will receive personal monitoring and guidance throughout the course to ensure that they achieve the learning goals required. Most leading academies will provided all the equipment necessary for the course, such as styling tools and workbooks and some offer an interactive website to assist with studies. Students have to achieve minimum standards to qualify. Places are limited at the leading academies and entrance may be by interview only. Most academies will insist of an understanding of English, although for a beginners’ course no hairdressing experience will be required. Those in need of a refresher course and already in possession of an NVQ level 2 or above in hairdressing can opt for a shorter, cheaper course. A weekly evening class at a leading academy will still cost around £2,500 for six weeks, but will cover cutting techniques, clipper work, razoring, beard and moustache trimming, colouring and style, dress and finishing techniques and is ideal for those returning to the profession after a break. 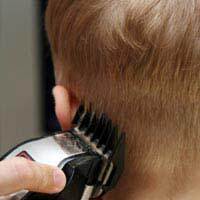 Students should take their own scissors, electrical equipment, combs, brushes and clips with them. There are even courses available for experienced barbers. A one-day course at a leading academy can show barbers the latest trends in men’s hairdressing and how to adapt these styles to suit different hair textures and clients. Such a practical course can breathe new life into a barber’s hair work and build confidence and will cost around £200. Students of all ages over 16 and of all levels of experience can find a suitable course. Those who complete a beginners’ course will possess the skills needed to work as a barber and some of the best academies have a 90 per cent success rate of graduates going on to successful employment. If the aim is to open your own business, some academies offer management courses that provide comprehensive business training.